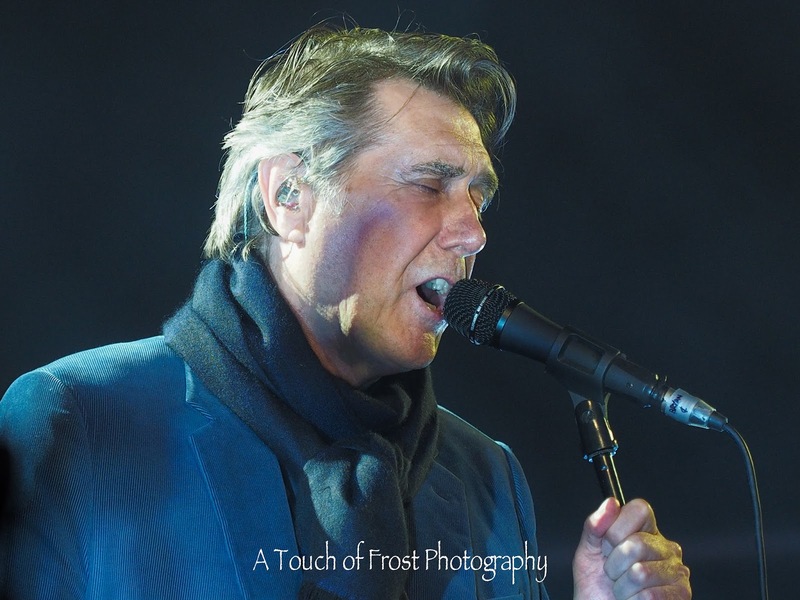 For a treat, I bought us tickets to see the legendary Bryan Ferry at an open air concert that took place at Burghley House, a stately home, near Stamford in Lincolnshire. We have never been to an outdoor concert before, so wasn't sure what to expect. But we packed a picnic, got a couple of foldable garden chairs and a blanket and headed off. The weather has certainly changed for the worst, so we also took waterproofs and umbrellas, just in case we got caught in the middle of a downpour, because there would be nowhere to hide from it. This weekend also sees the annual 'Download' rock festival at Castle Donington, and we've seen photos on Facebook of the rain there, and the field looks like a swamp. In fact I saw one video, and a river appeared to be running past some tents. We also had no idea of how many people would be turning up. Whether it would be a hundred, a thousand or ten thousand. We've watched concerts like Glastonbury on the TV, where the area just seemed to be awash with humanity. We parked up and made our way to the concert area. There must have been a couple of thousand people, sitting having their picnics, chatting or just waiting for Bryan to come on. There was a warm up act on when we arrived. A female singer and guitarist, but I've not been able to find out what her name is. I've certainly never seen her before, or recognised any of the songs she played. We were quite some way away from the stage, and there was one of those big video screens to one side, but it was partially blocked by a large marquee, which the sound and lighting people were using. 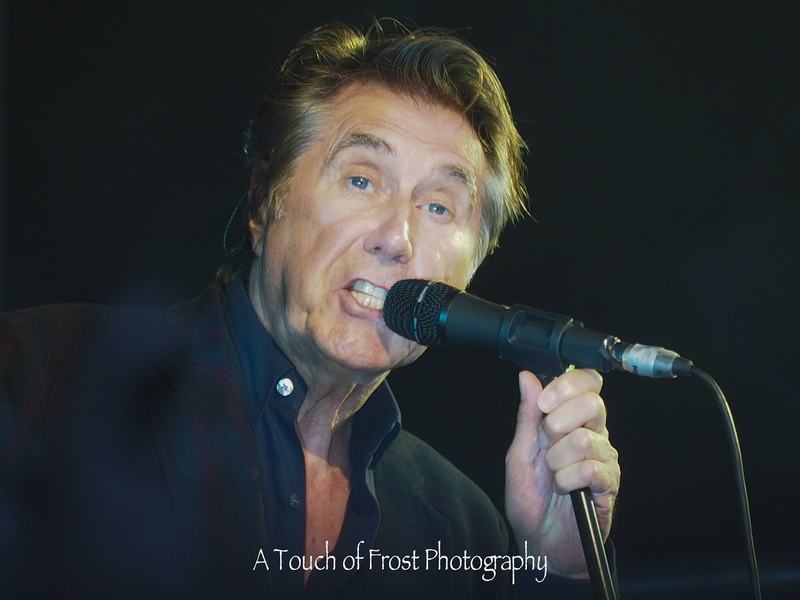 So I said to Gail, that I would take a walk to the front of the stage, to see what it was like. I made my way through slowly and made it to the stage area. I was getting some evil stares from people, who thought I was somehow gatecrashing into their own area. So I got some photos and went back to our pitch. I wondered what people would be like when Bryan came on. When he did, I had another wander down to the stage area. There were some fencing around the front of the stage was, which were there to cordon off the stacks of speakers. The 'official' photographers were there, as well as the video people doing the live feed to the screen. I noticed that there was a gap in the fence, so snuck though and crouched alongside a tower of speakers, so the security man who was stood there didn't see me, and kept taking photos of the Roxy Music frontman. I stayed for a while before finding my way back to Gail, as it was getting dark, and I didn't want to have too much difficulty in finding her. Last year I bought an Olympus 40-150mm f2.8 lens. It was very expensive, but I haven't really used it very much. In fact I don't think that I have used it at all this year. I took a couple of lenses with me, but these two photos were taken with this lens. I was considering selling it, but I might keep it now. The rain also kept off, so we both had a wonderful time. We left a song before Bryan had finished, as I thought it would be very difficult getting out, and may take a long time, with so many cars parked. So we drove away to the sounds of Do the Strand.